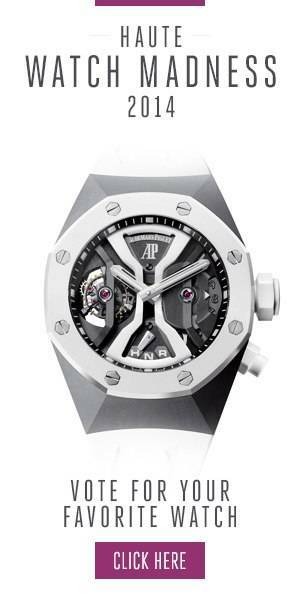 What a year it has already been for Hublot! The luxury Swiss watch manufacturer celebrated its 2019 partnerships by launching an immersive and monumental exhibition at Harrods Brompton Road in London with CEO Ricardo Guadalupe, who welcomed Hublot brand ambassadors Richard Orlinski and Maxine Plescia-Buchi, as well as VIP guests to the inauguration. The focal point of the exhibition is definitely the oversized Green Wild Kong statue, designed by Richard Orlinski with Hublot branding, which will maintain its presence in the Fine Watch Atrium, symbolizing Harrods’ exclusivity on the Classic Fusion Aerofusion Chronograph Orlinski Green. The exhibition is split into four different sections, highlighting the brand’s successful partnerships specifically in the United Kingdom, giving visitors a truly immersive and memorable experience. The first is the Ferrari section, featuring racing asphalt flooring and Hublot’s new Ferrari Safety car, as well as six Baselworld Ferrari models that were launched and three new Unico Ferrari pieces to mark the 90th anniversary of Scuderia Ferrari. The second area is dedicated to the brand’s partnership with the ICC Cricket World Cup 2019, boasting a wicket-inspired installation to represent the days left until the tournament begins. The Classic Fusion Chronograph ICC Cricket World Cup 2019 edition timepiece—limited to 100 pieces worldwide— is proudly on display here, with its cricket ball-inspired strap. The third area is a lounge, designed in a tattoo-inspired style, celebrating the brand’s partnership with world famous tattoo artist Maxine Plescia-Buchi. Here, the two new Big Bang Sang Bleu novelties are aptly featured, which gorgeously showcase a timepiece version of a tattoo. The last area is dedicated to Hublot’s signature motto—The Art of Fusion—which is the brand’s definitions philosophy that drives its designs, partnerships, materials and craftsmanship. Check out the Hublot Brompton Road Exhibition Windows and pop-up store before they are gone in mid-May, and the Orlinski sculptures until June 7th.